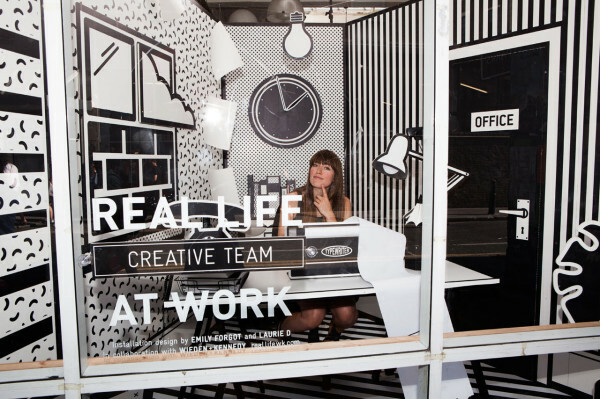 Advertising agency Wieden+Kennedy partnered with graphic artist Emily Forgot, with the help of designer Laurie D, to transform their London-based, Hanbury Street window into a pop-up workspace as part of their HELLO NEIGHBOUR initiative. 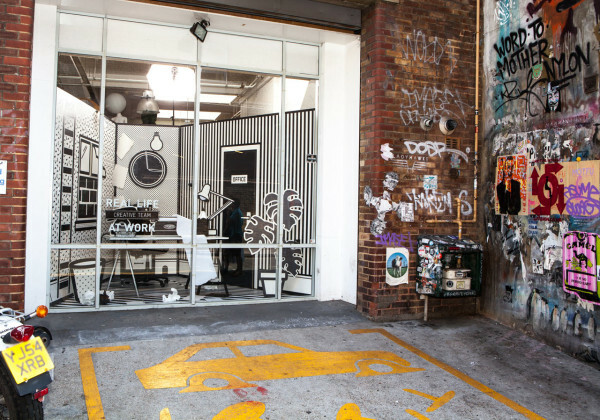 The initiative will bring a series of projects by local artists and designers to their window space as a way of interacting with their community. 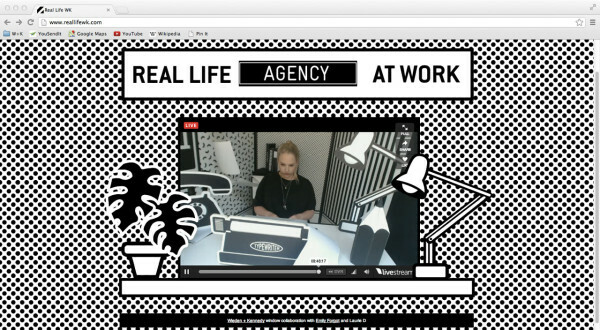 Throughout the month of August, REAL LIFE AT WORK, the surreal, monochromatic office-like installation is open for the staff and guests to work in, all while being broadcast live during work hours via webcam. 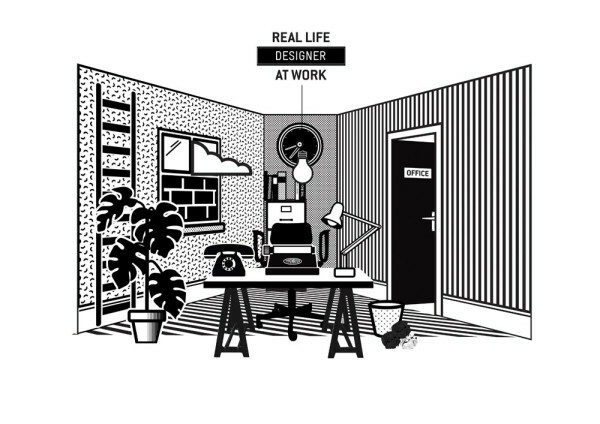 The display offers a playful perspective on working life with all the typical workspace necessities being made out of paper and card, like a plant, typewriter (who still uses one of those!? 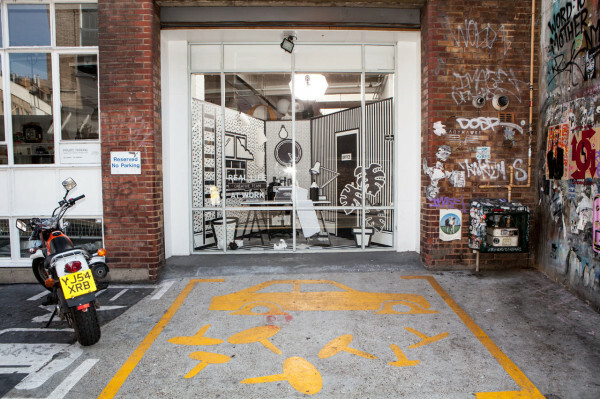 ), filing cabinet, etc. 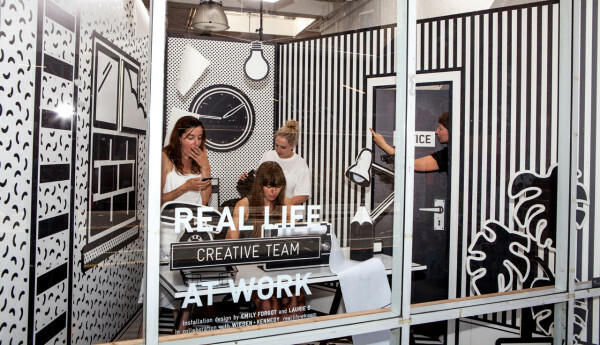 The installation gives the world a look into the company’s working life through Forgot’s eye.